Nia Patrick landed two summer internships. 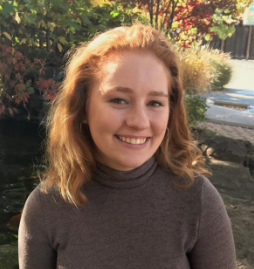 She will be further developing her content development and media skills as the KQED Arts Communication & Engagement intern, and also at GoInspo - Ayesha Curry’s Lifestyle Company. Nia learned about the positions at the “CPDS SMC One Stop Job Shop”. She came to CPDS for resume support, career workshops, and job fairs. Her advice for other students looking for jobs is to attend CPDS workshops, and don’t be afraid to reach out to companies even if they don’t show open jobs! 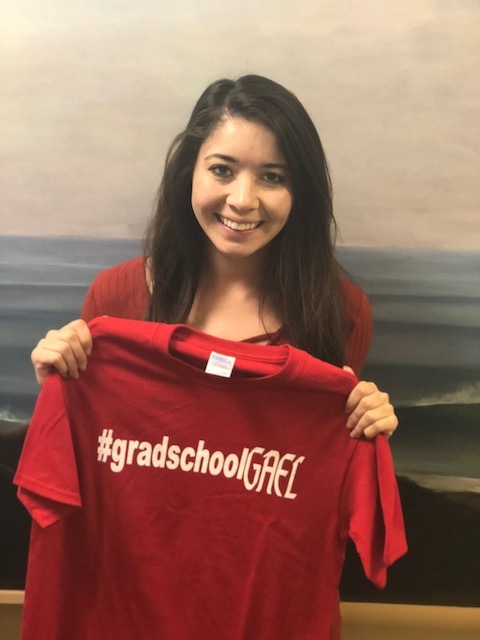 Aurora Le, Communications Majors, will intern this summer at goInspo - Ayesha Curry’s Lifestle Company, where she will be doing public relations, marketing and content development. Aurora is looking forward to trying Ayesha’s delicious food recipes. Her advice for students looking for jobs is to attend CPDS 1:1 sessions, career workshops, and be proactive! 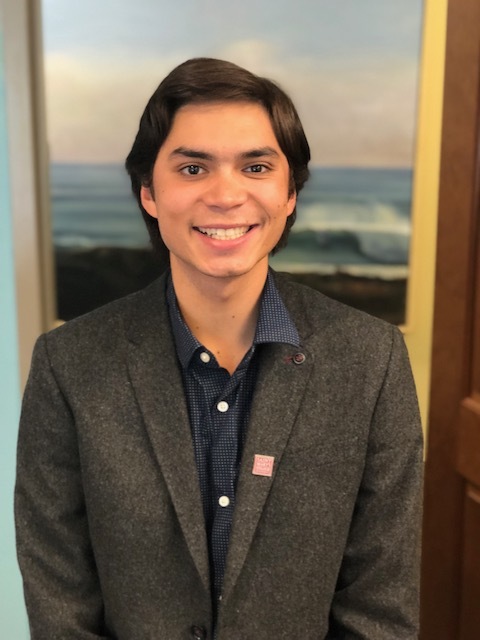 Roberto Saldana Jr. was hired as the Website Digital Marketing intern for “Visit Concord” where he will create advertising content and manage the company website and social media. He is looking forward to using his photography and film-making skills in his new role. Roberto gained valuable support from CPDS career strategists in 1:1 sessions, and from attending as many specialty career workshops as possible. 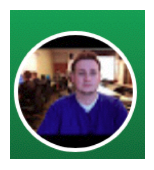 Tristan Tancio landed a Recruiter position at TEKsystems. He is looking forward to meeting new people and building strong relationships with clients. Tristan gained support from CPDS by attending the resume workshops, career fairs, and through 1:1 counseling sessions with a career strategist. 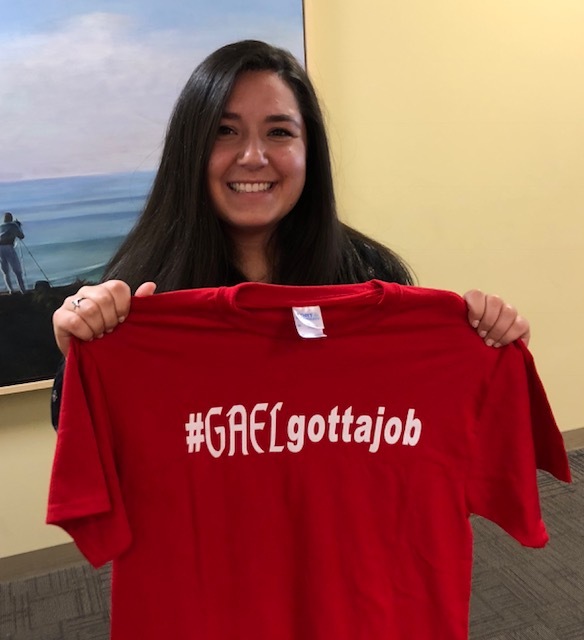 His job search advice to future gaels is to utilize SMC career services, and attend the career fairs every year! 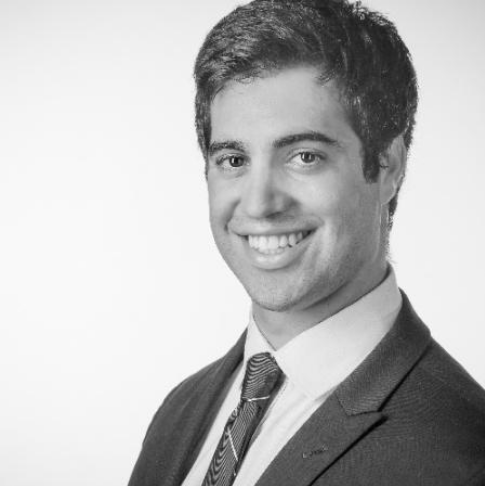 After graduating from Saint Mary’s, Andrei Satchlian will be attending the American University Washington College of Law, to begin his Juris Doctor Program. 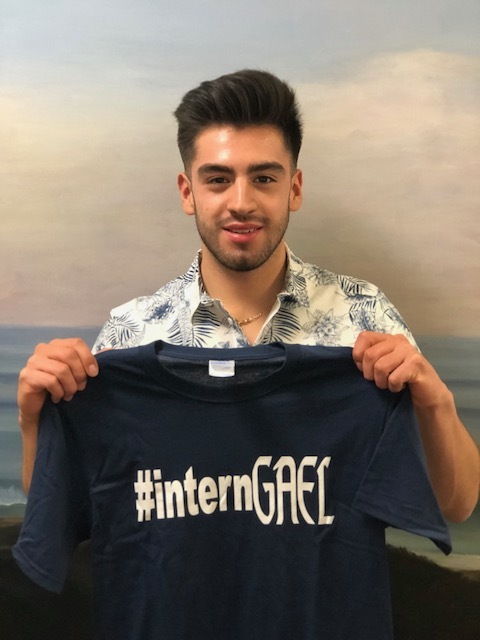 Andrei is looking forward to the unique educational experience and eventually plans to become an Air Force Jag Officer, and Assistant US Attorney. He utilized CPDS support services and suggest current students take the time to explore the wide swath of options to explore careers and educational opportunities! Natalie Cotton: Weber State University in Ogden, Utah. Natalie Cotton will graduate in May, and attend the Masters of Science of Athletic Training at Weber State University in Ogden, Utah. Natalie is looking forward learning professional techniquies for the assessment and treatment to assistant athletes. She used CPDS servies, espeically for resume support. Her advice to current students is to stay true to your heart and dreams, and don’t let your inner critic, or others influence the trajectory of your future. Choose people and employers who will challenge you, and encourage you along the way! Joelle Pinto graduated in May 2018 with a degree in Business Administration and Digital Media. She was hired as the photography intern for Designer Camp, a Los Angeles based creative design camp, where she will document the camp expereince and help manage the company website and social media. She is looking forward to using her photography, film-making, and business skills in her new role. Joelle gained valuable experience through redesigning and configuring the new CPDS website. She also had great support from CPDS career strategists in 1:1 sessions, and from attending many specialty career workshops. I graduated from Saint Mary’s in 2017 with a degree in Philosophy. Leveraging my liberal arts background and the opportunities provided by Saint Mary’s, I was able to secure a position as an investment analyst at a reputable commercial real estate firm in Los Angeles. My major distinguished me from the competition (finance majors) and showed employers that I knew how to think. When it came to finding my job, the CPDS staff was invaluable. Their sessions helped me present my best self by developing a career “plan of attack”, a high-quality LinkedIn page, role playing job interviews, and a personal branding campaign. I wish I had taken their advice more seriously: 1) You need an advocate. Don’t apply to a job without one. (2) Alumni, Alumni, Alumni- they love helping students! and (3) Ask for specific ways to stand out. Join industry groups, or do what I did which was enter myself in a Saint Mary’s Business Idea Competition. As the only liberal arts undergraduate, I made it to the final round of competition. There, I pitched in front of a large crowd of investors and alumni and immediately knew just how lucky I was to be at Saint Mary’s. 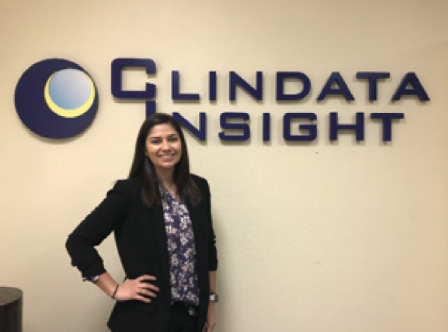 Allison Costa, Marketing and Communications Specialist, Clindata Insight, Inc.
I’m currently working with Clindata Insight Inc., a biopharmaceutical company based in Moraga, specializing in biostatistics, statistical programming, and big data for life science and talent solutions. As the Marketing and Communications Specialist, I promote our company brand through social media campaigns, videos, and verbiage for platforms such as LinkedIn, Facebook, and Twitter. Experiences and SMC resources that assisted in life after college: While taking business and entrepreneurship classes, I engaged in student clubs, and started a small business. I learned to manage my time, build and stick to a budget, create my own brand and image, converse with customers, and educate people about the many benefits of essential oils. I learned that I enjoy creating digital images and have an internal drive for making a positive difference in everything I do. I met with the Career and Professional Development Services department at SMC to craft my resume and learned about the position with Clindata, Inc. CPDS helped me with interviewing skills and aligning my resume’ and cover letter to the job description. They also introduced me to the Clindata hiring managers at the spring job fair. And, they helped me with the salary negotiation process. Saint Mary’s College has prepared me well for a great future career! And, to you future students, here is some advice. Get involved on campus, gain leadership and work experience and visit Career and Professional Development Services! I am selling new security systems through both self-generated and company-provided leads. I am also enrolled in the Bay Alarm Management Program, where I am learning to lead employees and learn sales techniques. By spring break of my senior year, I had no idea what I wanted to do. Within a day of my appointment request, I met with the Career and Professional Development Services department. They helped me write an excellent cover letter and resume, gave me ideas and recommendations regarding target companies and got me an interview with Bay Alarm, provided a mock interview session and significantly improved my confidence. I went from being stressed out my last couple months of school to enjoying my senior year, knowing that I had a job lined up when I graduated. What advice would you give other students, during their college years? I would recommend getting involved with school programs and internships as soon as possible. More importantly, I would advise every student to work with CPDS. Without their help, I would not be in the position I am in now. I gained valuable skills that I will use for the rest of my life. Saint Mary’s College has so many opportunities to improve yourself, and all you have to do is go out and find them. In 2017, I was an International Trade and Export Promotion Intern with the Small Business Administration in Washington, D.C. and in 2018, I am a Diplomacy and Data Management Intern with the World Trade Center in San Francisco. I feel I would not have landed these internships without help from CPDS. I have worked with the same CPDS advisor since my freshman year and she helped me write an outstanding resume and many cover letters, and provided amazing understanding and support whenever I needed it. 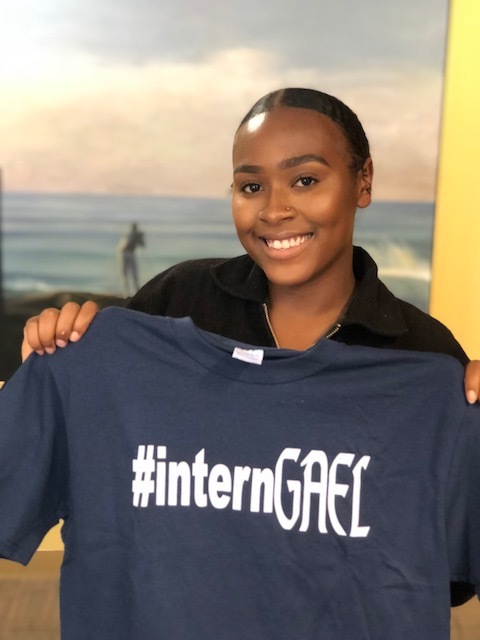 I aspire to pursue a career in government or the international arena and both of these internships provided me with skills and experience to help me achieve my goal. My advisor in CPDS both years helped me clean up my resume and taught me how to write a great cover letter. She also helped me prepare for my interviews by going through typical interview questions and helping me identify my strengths and weaknesses. She also taught me the value of networking, and how to go about it. The 2016 internship was my first official environmental-focused job that helped me get into the environmental field. 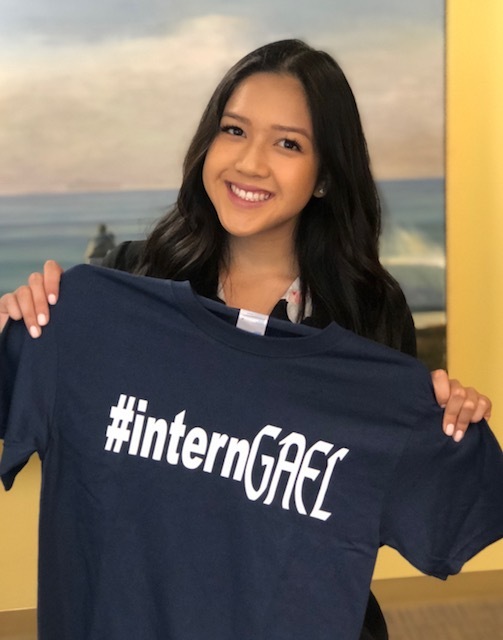 The internship helped me make connections, develop my communications, public outreach, and teamwork skills. It helped me realize that I am in the right field! The 2017 internship made me consider the non-profit sector as a potential career path. 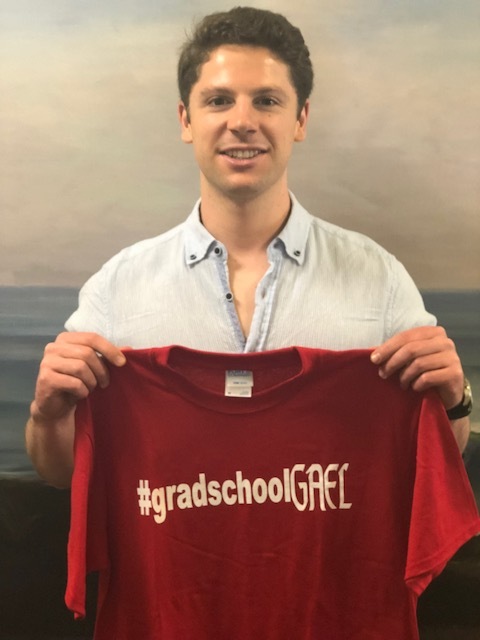 Now a 3rd year med student at Georgetown, Ryan Keane was a 4.0 English major and came into CPDS during his first year at SMC. He had several meetings with the Graduate School Advisor within CPDS to discuss the journey to becoming a medical doctor. 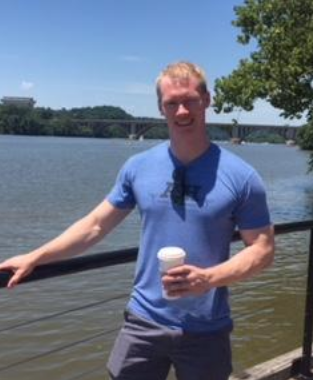 Topics covered in these meetings included activities Ryan should be involved in on and off campus, emphasis on grades and a high MCAT score, and revising the resume’ into an impressive CV that included a number of his on-campus activities. Ryan graduated as a Bio major with a 4.0 GPA. A review of his CV showed that during his time at SMC, Ryan was President of the SMC Knights of Columbus, founding Chair of Relay for Life cancer walk, VP of St. Luke’s Pre-medical club, and a member of the Mission and Ministry choir. Science and medical preparation was found in his volunteer work in ICU and emergency rooms plus his serving as an SMC chemistry tutor and his research with the SMC/Lawrence Berkeley National Labs. All of his work and preparation for his future resulted in receiving several medical school admissions offers his senior year! From day one through graduation, Ryan received support, counseling and encouragement from the CPDS Graduate School Advisor. He continues to receive support on an ongoing basis to craft his CV for medical residency applications. Aleysha Thomas arrived at SMC thinking that she might want to pursue a career in law. 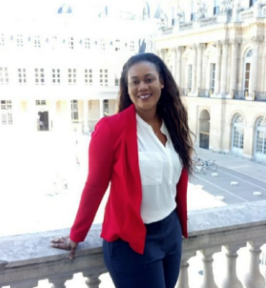 After all, she had already experienced being a junior attorney at Mc Cullen Youth Court in Oakland and had an internship with Judicial Self Help in Hayward, her home town, both while in high school. Her collegiate journey began her first year at SMC when she joined the SMC Law Club, a club sponsored by CPDS and moderated by the SMC Law and Grad School Counselor and CPDS advisor. Over the next few years, Aleysha moved from being a member to a VP and finally President of the law club. Consequently, both as an advisee and as the president she had regular meetings with the Law School Advisor in CPDS to plan club and personal goals for achieving law school admissions. CPDS, through the Law and Graduate School Advisor, helped Aleysha align her resume’ and cover letter with the requirements for an internship with the Kazan Law Firm in Oakland and she was successful in landing that internship and then had an opportunity to be a Compliance Intern with Bank of the West in San Ramon. In addition to her focus on law school applications, she was very involved on campus as an RA, an SMC Admissions Office Ambassador, and a member of the Black Student Union (BSU), the Asian Pacific American Student Association (APASA), and the Honors Business Club and Omicron Delta Epsilon (ODE) clubs. 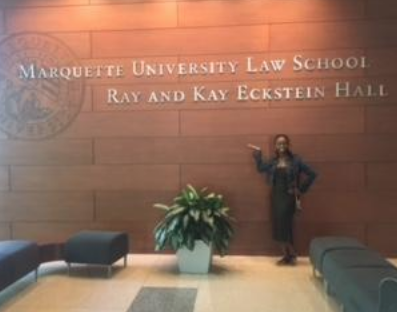 Aleysha managed to meet consistently with the Law and Graduate School Counselor in CPDS and was selected at Marquette U. Law School.